Radiometric dating, radioactive dating or radioisotope dating is a technique used to date materials such as rocks or carbon, in which trace radioactive impurities were selectively incorporated when they were formed. The method compares the abundance of a naturally occurring radioactive isotope within the material to the abundance of its decay products, which form at a known constant rate of decay. The use of radiometric dating was first published in 1907 by Bertram Boltwood  and is now the principal source of information about the absolute age of rocks and other geological features, including the age of fossilized life forms or the age of the Earth itself, and can also be used to date a wide range of natural and man-made materials. Carbon is a chemical element with symbol C and atomic number 6. It is nonmetallic and tetravalent—making four electrons available to form covalent chemical bonds. It belongs to group 14 of the periodic table. Three isotopes occur naturally, 12C and 13C being stable, while 14C is a radionuclide, decaying with a half-life of about 5,730 years. Carbon is one of the few elements known since antiquity. Together with stratigraphic principles, radiometric dating methods are used in geochronology to establish the geologic time scale. Among the best-known techniques are radiocarbon dating, potassium–argon dating and uranium–lead dating. By allowing the establishment of geological timescales, it provides a significant source of information about the ages of fossils and the deduced rates of evolutionary change. Radiometric dating is also used to date archaeological materials, including ancient artifacts. Stratigraphy is a branch of geology concerned with the study of rock layers (strata) and layering (stratification). It is primarily used in the study of sedimentary and layered volcanic rocks. Stratigraphy has two related subfields: lithostratigraphy and biostratigraphy. Geochronology is the science of determining the age of rocks, fossils, and sediments using signatures inherent in the rocks themselves. Absolute geochronology can be accomplished through radioactive isotopes, whereas relative geochronology is provided by tools such as palaeomagnetism and stable isotope ratios. By combining multiple geochronological indicators the precision of the recovered age can be improved. Example of a radioactive decay chain from lead-212 ( Pb) to lead-208 ( Pb) . Each parent nuclide spontaneously decays into a daughter nuclide (the decay product) via an α decay or a β decay. The final decay product, lead-208 ( Pb), is stable and can no longer undergo spontaneous radioactive decay. Half-life is the time required for a quantity to reduce to half its initial value. The term is commonly used in nuclear physics to describe how quickly unstable atoms undergo, or how long stable atoms survive, radioactive decay. The term is also used more generally to characterize any type of exponential or non-exponential decay. For example, the medical sciences refer to the biological half-life of drugs and other chemicals in the human body. The converse of half-life is doubling time. For most radioactive nuclides, the half-life depends solely on nuclear properties and is essentially a constant. It is not affected by external factors such as temperature, pressure, chemical environment, or presence of a magnetic or electric field. The only exceptions are nuclides that decay by the process of electron capture, such as beryllium-7, strontium-85, and zirconium-89, whose decay rate may be affected by local electron density. For all other nuclides, the proportion of the original nuclide to its decay products changes in a predictable way as the original nuclide decays over time. This predictability allows the relative abundances of related nuclides to be used as a clock to measure the time from the incorporation of the original nuclides into a material to the present. Temperature is a physical quantity expressing hot and cold. It is measured with a thermometer calibrated in one or more temperature scales. The most commonly used scales are the Celsius scale, Fahrenheit scale, and Kelvin scale. The kelvin is the unit of temperature in the International System of Units (SI), in which temperature is one of the seven fundamental base quantities. The Kelvin scale is widely used in science and technology. A magnetic field is a vector field that describes the magnetic influence of electric charges in relative motion and magnetized materials. Magnetic fields are observed in a wide range of size scales, from subatomic particles to galaxies. In everyday life, the effects of magnetic fields are often seen in permanent magnets, which pull on magnetic materials and attract or repel other magnets. 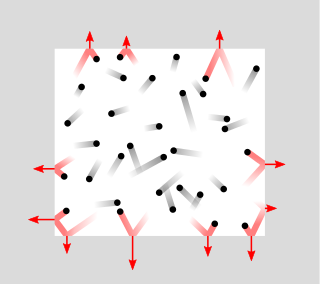 Magnetic fields surround and are created by magnetized material and by moving electric charges such as those used in electromagnets. Magnetic fields exert forces on nearby moving electrical charges and torques on nearby magnets. In addition, a magnetic field that varies with location exerts a force on magnetic materials. Both the strength and direction of a magnetic field vary with location. As such, it is an example of a vector field. Metasomatism is the chemical alteration of a rock by hydrothermal and other fluids. It is the replacement of one rock by another of different mineralogical and chemical composition. The minerals which compose the rocks are dissolved and new mineral formations are deposited in their place. Dissolution and deposition occur simultaneously and the rock remains solid. Isochron dating is a common technique of radiometric dating and is applied to date certain events, such as crystallization, metamorphism, shock events, and differentiation of precursor melts, in the history of rocks. Isochron dating can be further separated into mineral isochron dating and whole rock isochron dating; both techniques are applied frequently to date terrestrial and also extraterrestrial rocks (meteorites). The advantage of isochron dating as compared to simple radiometric dating techniques is that no assumptions are needed about the initial amount of the daughter nuclide in the radioactive decay sequence. Indeed, the initial amount of the daughter product can be determined using isochron dating. This technique can be applied if the daughter element has at least one stable isotope other than the daughter isotope into which the parent nuclide decays. Contamination is the presence of an unwanted constituent, harmful substance or impurity in a material, physical body, natural environment, workplace, etc. If a material that selectively rejects the daughter nuclide is heated, any daughter nuclides that have been accumulated over time will be lost through diffusion, setting the isotopic "clock" to zero. The temperature at which this happens is known as the closure temperature or blocking temperature and is specific to a particular material and isotopic system. These temperatures are experimentally determined in the lab by artificially resetting sample minerals using a high-temperature furnace. As the mineral cools, the crystal structure begins to form and diffusion of isotopes is less easy. At a certain temperature, the crystal structure has formed sufficiently to prevent diffusion of isotopes. This temperature is what is known as closure temperature and represents the temperature below which the mineral is a closed system to isotopes. Thus an igneous or metamorphic rock or melt, which is slowly cooling, does not begin to exhibit measurable radioactive decay until it cools below the closure temperature. The age that can be calculated by radiometric dating is thus the time at which the rock or mineral cooled to closure temperature. Dating of different minerals and/or isotope systems (with differing closure temperatures) within the same rock can therefore enable the tracking of the thermal history of the rock in question with time, and thus the history of metamorphic events may become known in detail. This field is known as thermochronology or thermochronometry. Sm/Nd Isochron plotted of samples from the Great Dyke, Zimbabwe. The age is calculated from the slope of the isochron (line) and the original composition from the intercept of the isochron with the y-axis. λ is the decay constant of the parent isotope, equal to the inverse of the radioactive half-life of the parent isotope  times the natural logarithm of 2. The above equation makes use of information on the composition of parent and daughter isotopes at the time the material being tested cooled below its closure temperature. This is well-established for most isotopic systems. However, construction of an isochron does not require information on the original compositions, using merely the present ratios of the parent and daughter isotopes to a standard isotope. Plotting an isochron is used to solve the age equation graphically and calculate the age of the sample and the original composition. Radiometric dating has been carried out since 1905 when it was invented by Ernest Rutherford as a method by which one might determine the age of the Earth. In the century since then the techniques have been greatly improved and expanded. Dating can now be performed on samples as small as a nanogram using a mass spectrometer. The mass spectrometer was invented in the 1940s and began to be used in radiometric dating in the 1950s. It operates by generating a beam of ionized atoms from the sample under test. The ions then travel through a magnetic field, which diverts them into different sampling sensors, known as "Faraday cups", depending on their mass and level of ionization. On impact in the cups, the ions set up a very weak current that can be measured to determine the rate of impacts and the relative concentrations of different atoms in the beams. A concordia diagram as used in uranium–lead dating, with data from the Pfunze Belt, Zimbabwe. All the samples show loss of lead isotopes, but the intercept of the errorchron (straight line through the sample points) and the concordia (curve) shows the correct age of the rock. This involves electron capture or positron decay of potassium-40 to argon-40. Potassium-40 has a half-life of 1.3 billion years, so this method is applicable to the oldest rocks. 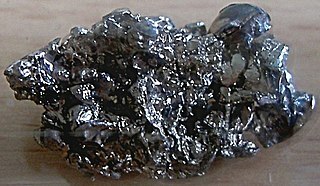 Radioactive potassium-40 is common in micas, feldspars, and hornblendes, though the closure temperature is fairly low in these materials, about 350 °C (mica) to 500 °C (hornblende). A relatively short-range dating technique is based on the decay of uranium-234 into thorium-230, a substance with a half-life of about 80,000 years. It is accompanied by a sister process, in which uranium-235 decays into protactinium-231, which has a half-life of 32,760 years. While uranium is water-soluble, thorium and protactinium are not, and so they are selectively precipitated into ocean-floor sediments, from which their ratios are measured. The scheme has a range of several hundred thousand years. A related method is ionium–thorium dating, which measures the ratio of ionium (thorium-230) to thorium-232 in ocean sediment. Radiocarbon dating is also simply called Carbon-14 dating. 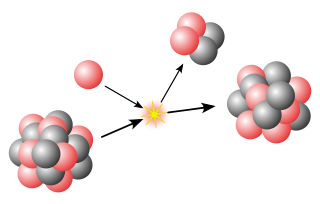 Carbon-14 is a radioactive isotope of carbon, with a half-life of 5,730 years,   (which is very short compared with the above isotopes) and decays into nitrogen. In other radiometric dating methods, the heavy parent isotopes were produced by nucleosynthesis in supernovas, meaning that any parent isotope with a short half-life should be extinct by now. Carbon-14, though, is continuously created through collisions of neutrons generated by cosmic rays with nitrogen in the upper atmosphere and thus remains at a near-constant level on Earth. The carbon-14 ends up as a trace component in atmospheric carbon dioxide (CO2). The rate of creation of carbon-14 appears to be roughly constant, as cross-checks of carbon-14 dating with other dating methods show it gives consistent results. However, local eruptions of volcanoes or other events that give off large amounts of carbon dioxide can reduce local concentrations of carbon-14 and give inaccurate dates. The releases of carbon dioxide into the biosphere as a consequence of industrialization have also depressed the proportion of carbon-14 by a few percent; conversely, the amount of carbon-14 was increased by above-ground nuclear bomb tests that were conducted into the early 1960s. Also, an increase in the solar wind or the Earth's magnetic field above the current value would depress the amount of carbon-14 created in the atmosphere. This scheme has application over a wide range of geologic dates. For dates up to a few million years micas, tektites (glass fragments from volcanic eruptions), and meteorites are best used. Older materials can be dated using zircon, apatite, titanite, epidote and garnet which have a variable amount of uranium content. Because the fission tracks are healed by temperatures over about 200 °C the technique has limitations as well as benefits. The technique has potential applications for detailing the thermal history of a deposit. Large amounts of otherwise rare 36Cl (half-life ~300ky) were produced by irradiation of seawater during atmospheric detonations of nuclear weapons between 1952 and 1958. The residence time of 36Cl in the atmosphere is about 1 week. Thus, as an event marker of 1950s water in soil and ground water, 36Cl is also useful for dating waters less than 50 years before the present. 36Cl has seen use in other areas of the geological sciences, including dating ice and sediments. Luminescence dating methods are not radiometric dating methods in that they do not rely on abundances of isotopes to calculate age. Instead, they are a consequence of background radiation on certain minerals. Over time, ionizing radiation is absorbed by mineral grains in sediments and archaeological materials such as quartz and potassium feldspar. The radiation causes charge to remain within the grains in structurally unstable "electron traps". Exposure to sunlight or heat releases these charges, effectively "bleaching" the sample and resetting the clock to zero. The trapped charge accumulates over time at a rate determined by the amount of background radiation at the location where the sample was buried. Stimulating these mineral grains using either light (optically stimulated luminescence or infrared stimulated luminescence dating) or heat (thermoluminescence dating) causes a luminescence signal to be emitted as the stored unstable electron energy is released, the intensity of which varies depending on the amount of radiation absorbed during burial and specific properties of the mineral. These methods can be used to date the age of a sediment layer, as layers deposited on top would prevent the grains from being "bleached" and reset by sunlight. Pottery shards can be dated to the last time they experienced significant heat, generally when they were fired in a kiln. 129I beta-decays to 129Xe with a half-life of 16 million years. The iodine-xenon chronometer  is an isochron technique. Samples are exposed to neutrons in a nuclear reactor. This converts the only stable isotope of iodine (127I) into 128Xe via neutron capture followed by beta decay (of 128I). After irradiation, samples are heated in a series of steps and the xenon isotopic signature of the gas evolved in each step is analysed. When a consistent 129Xe/128Xe ratio is observed across several consecutive temperature steps, it can be interpreted as corresponding to a time at which the sample stopped losing xenon. The age of the Earth is 4.54 ± 0.05 billion years (4.54 × 109 years ± 1%). This age may represent the age of the Earth's accretion, of core formation, or of the material from which the Earth formed. This dating is based on evidence from radiometric age-dating of meteorite material and is consistent with the radiometric ages of the oldest-known terrestrial and lunar samples. Carbon-14, (14C), or radiocarbon, is a radioactive isotope of carbon with an atomic nucleus containing 6 protons and 8 neutrons. Its presence in organic materials is the basis of the radiocarbon dating method pioneered by Willard Libby and colleagues (1949) to date archaeological, geological and hydrogeological samples. Carbon-14 was discovered on February 27, 1940, by Martin Kamen and Sam Ruben at the University of California Radiation Laboratory in Berkeley, California. Its existence had been suggested by Franz Kurie in 1934. In nuclear science, the decay chain refers to a series of radioactive decays of different radioactive decay products as a sequential series of transformations. It is also known as a "radioactive cascade". Most radioisotopes do not decay directly to a stable state, but rather undergo a series of decays until eventually a stable isotope is reached. allows the method to be used to calculate the absolute age of samples older than a few thousand years. Uranium–thorium dating, also called thorium-230 dating, uranium-series disequilibrium dating or uranium-series dating, is a radiometric dating technique established in the 1960s which has been used since the 1970s to determine the age of calcium carbonate materials such as speleothem or coral. Unlike other commonly used radiometric dating techniques such as rubidium–strontium or uranium–lead dating, the uranium-thorium technique does not measure accumulation of a stable end-member decay product. Instead, it calculates an age from the degree to which secular equilibrium has been restored between the radioactive isotope thorium-230 and its radioactive parent uranium-234 within a sample. Uranium–uranium dating is a radiometric dating technique which compares two isotopes of uranium (U) in a sample: uranium-234 (234U) and uranium-238 (238U). It is one of several radiometric dating techniques exploiting the uranium radioactive decay series, in which 238U undergoes 14 alpha and beta decay events on the way to the stable isotope 206Pb. Other dating techniques using this decay series include uranium–thorium dating and uranium–lead dating. Uranium–lead dating, abbreviated U–Pb dating, is one of the oldest and most refined of the radiometric dating schemes. It can be used to date rocks that formed and crystallised from about 1 million years to over 4.5 billion years ago with routine precisions in the 0.1–1 percent range. Uranium (92U) is a naturally occurring radioactive element that has no stable isotopes but two primordial isotopes that have long half-lives and are found in appreciable quantity in the Earth's crust, along with the decay product uranium-234. The standard atomic weight of natural uranium is 238.02891(3). Other isotopes such as uranium-232 have been produced in breeder reactors. Naturally occurring xenon (54Xe) is made of eight stable isotopes and one very long-lived isotope. Xenon has the second-highest number of stable isotopes. Only tin, with 10 stable isotopes, has more. Beyond these stable forms, 32 unstable isotopes and various isomers have been studied, the longest-lived of which is 136Xe, which undergoes double beta decay with a half-life of 2.165 ± 0.016(stat) ± 0.059(sys) ×1021 years with the next longest lived being 127Xe with a half-life of 36.345 days. All other isotopes have half-lives less than 12 days, most less than 20 hours. The shortest-lived isotope, 108Xe, has a half-life of 58 µs, and is the heaviest known nuclide with equal numbers of protons and neutrons. Of known isomers, the longest-lived is 131mXe with a half-life of 11.934 days. 129Xe is produced by beta decay of 129I ; 131mXe, 133Xe, 133mXe, and 135Xe are some of the fission products of both 235U and 239Pu, so are used as indicators of nuclear explosions. Potassium (19K) has 25 known isotopes from 32K to 57K, with unconfirmed detection of 59K. Three isotopes occur naturally: stable 39K (93.3%) and 41K (6.7%), and the long-lived radioisotope 40K (0.012%). Absolute dating is the process of determining an age on a specified chronology in archaeology and geology. Some scientists prefer the terms chronometric or calendar dating, as use of the word "absolute" implies an unwarranted certainty of accuracy. Absolute dating provides a numerical age or range in contrast with relative dating which places events in order without any measure of the age between events. Fission track dating is a radiometric dating technique based on analyses of the damage trails, or tracks, left by fission fragments in certain uranium-bearing minerals and glasses. Fission-track dating is a relatively simple method of radiometric dating that has made a significant impact on understanding the thermal history of continental crust, the timing of volcanic events, and the source and age of different archeological artifacts. The method involves using the number of fission events produced from the spontaneous decay of uranium-238 in common accessory minerals to date the time of rock cooling below closure temperature. Fission tracks are sensitive to heat, and therefore the technique is useful at unraveling the thermal evolution of rocks and minerals. Most current research using fission tracks is aimed at: a) understanding the evolution of mountain belts; b) determining the source or provenance of sediments; c) studying the thermal evolution of basins; d) determining the age of poorly dated strata; and e) dating and provenance determination of archeological artifacts. Iodine-129 (129I) is a long-lived radioisotope of iodine which occurs naturally, but also is of special interest in the monitoring and effects of man-made nuclear fission decay products, where it serves as both tracer and potential radiological contaminant. Geochronometry is a branch of stratigraphy aimed at the quantitative measurement of geologic time. It is considered a branch of geochronology. Titanium in zircon geothermometry is a form of a geothermometry technique by which the crystallization temperature of a zircon crystal can be estimated by the amount of titanium atoms which can only be found in the crystal lattice. In zircon crystals, titanium is commonly incorporated, replacing similarly charged zirconium and silicon atoms. This process is relatively unaffected by pressure and highly temperature dependent, with the amount of titanium incorporated rising exponentially with temperature, making this an accurate geothermometry method. This measurement of titanium in zircons can be used to estimate the cooling temperatures of the crystal and infer conditions during which it crystallized. Compositional changes in the crystals growth rings can be used to estimate the thermodynamic history of the entire crystal. This method is useful as it can be combined with radiometric dating techniques that are commonly used with zircon crystals, to correlate quantitative temperature measurements with specific absolute ages. This technique can be used to estimate early Earth conditions, determine metamorphic facies, or to determine the source of detrital zircons, among other uses. Lutetium–hafnium dating is a geochronological dating method utilizing the radioactive decay system of lutetium–176 to hafnium–176. With a commonly accepted half-life of 37.1 billion years, the long-living Lu–Hf decay pair survives through geological time scales, thus is useful in geological studies. 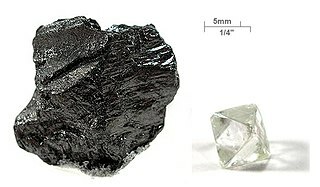 Due to chemical properties of the two elements, namely their valences and ionic radii, Lu is usually found in trace amount in rare-earth element loving minerals, such as garnet and phosphates, while Hf is usually found in trace amount in zirconium-rich minerals, such as zircon, baddeleyite and zirkelite. ↑ Boltwood, Bertram (1907). "The Ultimate Disintegration Products of the Radio-active Elements. Part II. The disintegration products of uranium". American Journal of Science. 4. 23 (134): 77–88. doi:10.2475/ajs.s4-23.134.78. ↑ Bernard-Griffiths, J.; Groan, G. (1989). "The samarium–neodymium method". In Roth, Etienne; Poty, Bernard. Nuclear Methods of Dating. Springer Netherlands. pp. 53–72. ISBN 978-0-7923-0188-2. ↑ Emery, G T (1972). "Perturbation of Nuclear Decay Rates". Annual Review of Nuclear Science. 22 (1): 165–202. Bibcode:1972ARNPS..22..165E. doi:10.1146/annurev.ns.22.120172.001121. ↑ Shlyakhter, A. I. (1976). "Direct test of the constancy of fundamental nuclear constants". Nature. 264 (5584): 340. Bibcode:1976Natur.264..340S. doi:10.1038/264340a0. ↑ Dalrymple, G. Brent (1994). The age of the earth. Stanford, Calif.: Stanford Univ. Press. ISBN 9780804723312. ↑ Dickin, Alan P. (2008). Radiogenic isotope geology (2nd ed.). Cambridge: Cambridge Univ. Press. pp. 15–49. ISBN 9780521530170. ↑ Reimer Paula J, et al. (2004). "INTCAL04 Terrestrial Radiocarbon Age Calibration, 0–26 Cal Kyr BP". Radiocarbon. 46 (3): 1029–1058. ↑ White, W. M. (2003). "Basics of Radioactive Isotope Geochemistry" (PDF). Cornell University. 1 2 "Geologic Time: Radiometric Time Scale". United States Geological Survey. 16 June 2001. ↑ Stacey, J. S.; J. D. Kramers (June 1975). "Approximation of terrestrial lead isotope evolution by a two-stage model". Earth and Planetary Science Letters. 26 (2): 207–221. Bibcode:1975E&PSL..26..207S. doi:10.1016/0012-821X(75)90088-6. ↑ Vinyu, M. L.; R. E. Hanson; M. W. Martin; S. A. Bowring; H. A. Jelsma; P. H. G. M. Dirks (2001). "U-Pb zircon ages from a craton-margin archaean orogenic belt in northern Zimbabwe". Journal of African Earth Sciences . 32 (1): 103–114. Bibcode:2001JAfES..32..103V. doi:10.1016/S0899-5362(01)90021-1. ↑ Manyeruke, Tawanda D.; Thomas G. Blenkinsop; Peter Buchholz; David Love; Thomas Oberthür; Ulrich K. Vetter; Donald W. Davis (2004). "The age and petrology of the Chimbadzi Hill Intrusion, NW Zimbabwe: first evidence for early Paleoproterozoic magmatism in Zimbabwe". Journal of African Earth Sciences. 40 (5): 281–292. Bibcode:2004JAfES..40..281M. doi:10.1016/j.jafrearsci.2004.12.003. ↑ Li, Xian-hua; Liang, Xi-rong; Sun, Min; Guan, Hong; Malpas, J. G. (2001). "Precise 206Pb/238U age determination on zircons by laser ablation microprobe-inductively coupled plasma-mass spectrometry using continuous linear ablation". Chemical Geology. 175 (3–4): 209–219. Bibcode:2001ChGeo.175..209L. doi:10.1016/S0009-2541(00)00394-6. ↑ Wingate, M.T.D. (2001). "SHRIMP baddeleyite and zircon ages for an Umkondo dolerite sill, Nyanga Mountains, Eastern Zimbabwe". South African Journal of Geology. 104 (1): 13–22. doi:10.2113/104.1.13. ↑ Ireland, Trevor (December 1999). "Isotope Geochemistry: New Tools for Isotopic Analysis". Science. 286 (5448): 2289–2290. doi:10.1126/science.286.5448.2289. ↑ Mukasa, S. B.; A. H. Wilson; R. W. Carlson (December 1998). "A multielement geochronologic study of the Great Dyke, Zimbabwe: significance of the robust and reset ages". Earth and Planetary Science Letters. 164 (1–2): 353–369. Bibcode:1998E&PSL.164..353M. doi:10.1016/S0012-821X(98)00228-3. ↑ "Ales stenar". The Swedish National Heritage Board. 11 October 2006. Archived from the original on 31 March 2009. Retrieved 9 March 2009. ↑ Clark, R. M. (1975). "A calibration curve for radiocarbon dates". Antiquity. 49: 251–266. ↑ Vasiliev, S. S.; V. A. Dergachev (2002). "The ~2400-year cycle in atmospheric radiocarbon concentration: Bispectrum of 14C data over the last 8000 years" (PDF). Annales Geophysicae. 20 (1): 115–120. Bibcode:2002AnGeo..20..115V. doi:10.5194/angeo-20-115-2002. ↑ "Carbon-14 Dating". www.chem.uwec.edu. Retrieved 2016-04-06. ↑ Plastino, Wolfango; Lauri Kaihola; Paolo Bartolomei; Francesco Bella (2001). "Cosmic background reduction in the radiocarbon measurement by scintillation spectrometry at the underground laboratory of Gran Sasso" (PDF). Radiocarbon. 43 (2A): 157–161. ↑ Jacobs, J.; R. J. Thomas (August 2001). "A titanite fission track profile across the southeastern Archæan Kaapvaal Craton and the Mesoproterozoic Natal Metamorphic Province, South Africa: evidence for differential cryptic Meso- to Neoproterozoic tectonism". Journal of African Earth Sciences. 33 (2): 323–333. Bibcode:2001JAfES..33..323J. doi:10.1016/S0899-5362(01)80066-X. ↑ Gilmour, J. D.; O. V Pravdivtseva; A. Busfield; C. M. Hohenberg (2006). "The I-Xe Chronometer and the Early Solar System". Meteoritics and Planetary Science. 41: 19–31. Bibcode:2006M&PS...41...19G. doi:10.1111/j.1945-5100.2006.tb00190.x . Retrieved 2013-01-21. Gunten, Hans R. von (1995). "Radioactivity: A Tool to Explore the Past". Radiochimica Acta. 70-71 (s1). doi:10.1524/ract.1995.7071.special-issue.305. ISSN 2193-3405. Magill, Joseph; Galy, Jean (2005). "Archaeology and Dating". Radioactivity Radionuclides Radiation. Springer Berlin Heidelberg. pp. 105–115. doi:10.1007/3-540-26881-2_6. ISBN 978-3-540-26881-9. Allègre, Claude J (2008-12-04). Isotope Geology. ISBN 978-0521862288. McSween, Harry Y; Richardson, Steven Mcafee; Uhle, Maria E; Uhle, Professor Maria (2003). Geochemistry: Pathways and Processes (2 ed.). ISBN 978-0-231-12440-9. Harry y. Mcsween, Jr; Huss, Gary R (2010-04-29). Cosmochemistry. ISBN 978-0-521-87862-3.